You may not guess this but writing a men's gift guide is one of my favorite things to blog about. There are so many interesting and even unique grooming things out there for men (one year I even posted a bacon soap), that there's really no need to resort to giving the usual tie or socks. Furthermore, it is easy to find something in every price range, from the drugstore discovery to the extravagant fragrance. Here's what I think are some terrific gift ideas for the men in your life - a few of these you might even like for yourself because so much has actually become unisex these days (maybe not the beard oil though lol). 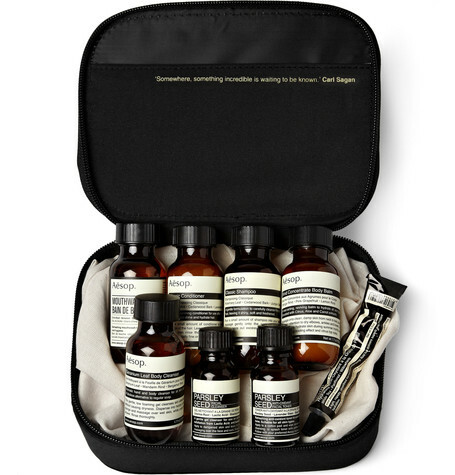 Aesop London Grooming Kit ($75) is perfect for the man who travels. The no-nonsense packaging and fresh-smelling botanical ingredients have a masculine bent although honestly I would love all this for myself. The kit includes travel sizes of: mouthwash, shampoo (he'll love the tea tree in it! ), conditioner, body cleanser, body balm, and their famous parsley seed cleanser, toner, and moisturizer. And it all comes in a black travel case. What more could you ask for? Malin + Goetz Rum Holiday Set ($35) is a lovely idea. 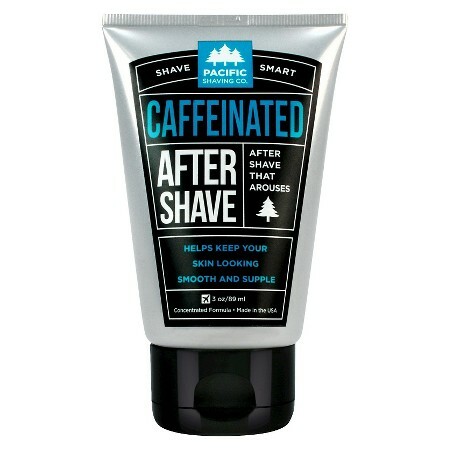 Again, this no-nonsense packaging would appeal to a guy, and anything by this brand would make a great gift for him. I think the rum is particularly smart though. This kit includes a 8.5oz Rum Hand + Body Wash and a Dark Rum votive candle. Men do like candles you know. 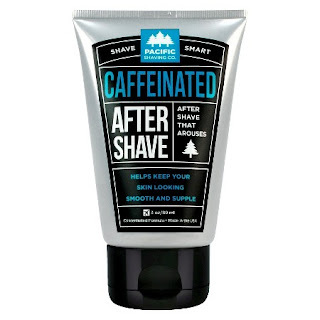 But if you prefer you could just get him the 16oz Rum Body Wash - it's awesome too. Pacific Shaving Company Caffienated Shaving Cream and After Shave ($4.49 each) are something fun. And readily available at Target and some drugstores which is convenient. While it's not quite like drinking a big mug of coffee these do supposedly give a little kick to your morning routine. 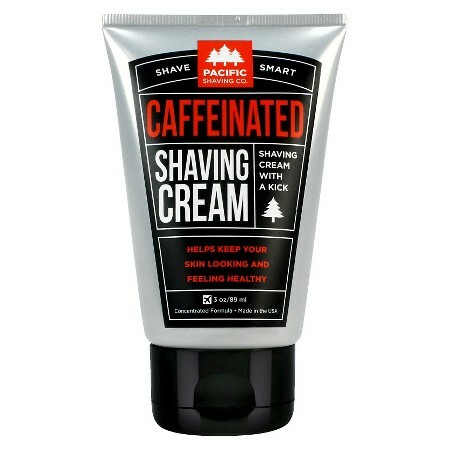 Also the caffeine actually provides a smoother shave and helps reduce redness. These smell minty, not like coffee, and as a bonus they are synthetic fragrance-free, paraben-free, cruelty-free, and vegan. Yay! 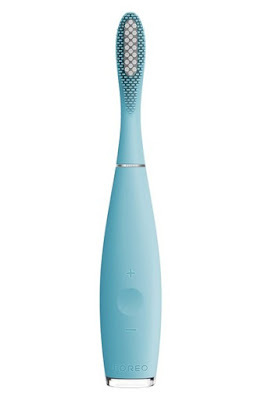 FOREO 'ISSA' Hybrid Sonic Toothbrush ($199) would be appreciated by the guy who is into high tech things. Or maybe someone with problematic tooth or gum issues. Either way it gets 5 out of 5 star reviews. 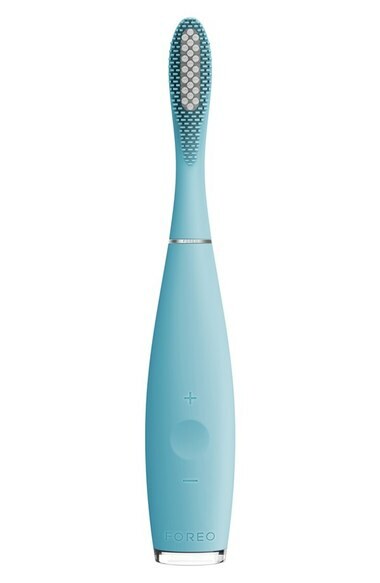 Yes it's pricy but the sonic technology of this little machine gives a vigorous brushing to get rid of stubborn plaque while the silicone bristles massage the gums. Imagine how fantastic and how healthy his teeth will look! Be super sleek and order it in the black color. 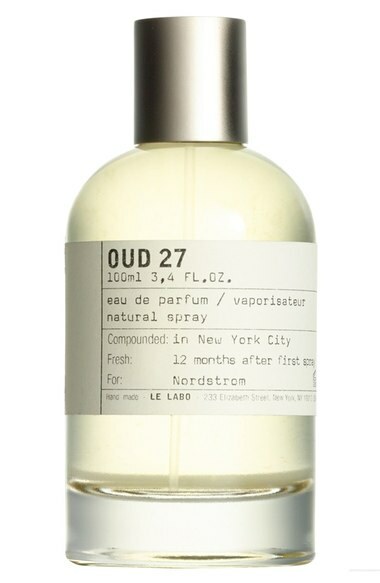 Le Labo 'Oud 27' Eau de Parfum ($175) has the best masculine perfume packaging ever. This apothecary style bottle would look beyond cool sitting on your guy's dresser. Of course there is more to it than that. This niche brand makes unisex perfumes of the highest quality and concentration. I have chosen the 'Oud 27' because I think oud (smells of resinous wood and musky decadence) on a guy is the sexiest, but if your guy prefers something more fresh and cologne-like then go for their 'Vetiver 46'. Le Labo perfumes are for the hippest of hip. 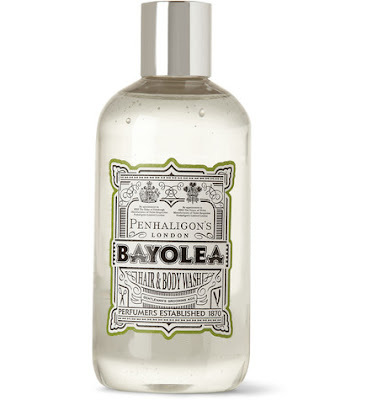 .Penhaligon's Bayolea Hair & Body Wash ($45) is a treat for sure. Penhaligon's is a British perfumery brand that started out as a barber shop in 1870. So great history there. Now it is more of a niche brand, rather exclusive, so something like this body wash is sure to be treasured. It smells wonderfully masculine with Mandarin, Lemongrass, Cardamom, Black Pepper, Musk, and Moss. And of course its 2-in-1 purpose is also great for the efficiency expert. 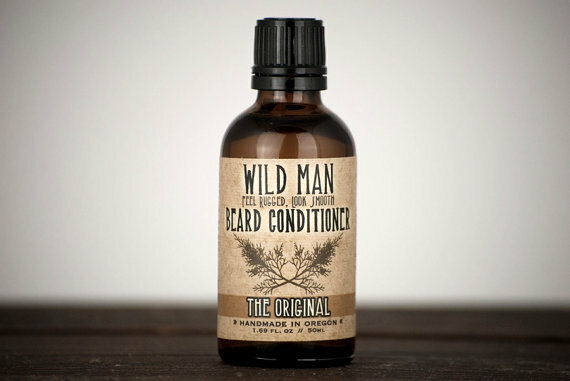 Wild Man Beard Conditioner ($19.95) is a bit of a hidden gem, yet wildly popular to those in the know. It's an all natural grooming oil to condition and strengthen the beard and moisturize the skin around/beneath it. It gives a nice smooth look and a little shine. The Original formula uses essential oils that make it smell lightly of Virginian Cedarwood and cold-pressed lime, but it is also available in three other scents and an unscented version too. So many men are sporting beards these days, I think this would make a very appropriate gift.